Monday, January 21, 2019-This woman is in police custody after she was caught red handed transporting bhang. 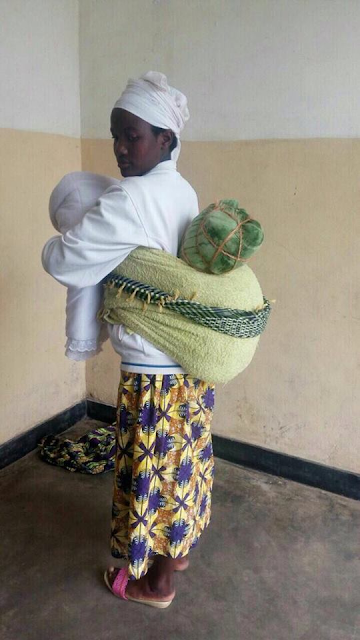 The woman had wrapped the bhang on a baby shawl and carried it on her back disguised as a baby. It is very hard to suspect she is a peddler if you happen to meet her in the streets. However, hawk eyed police officers caught up with her.